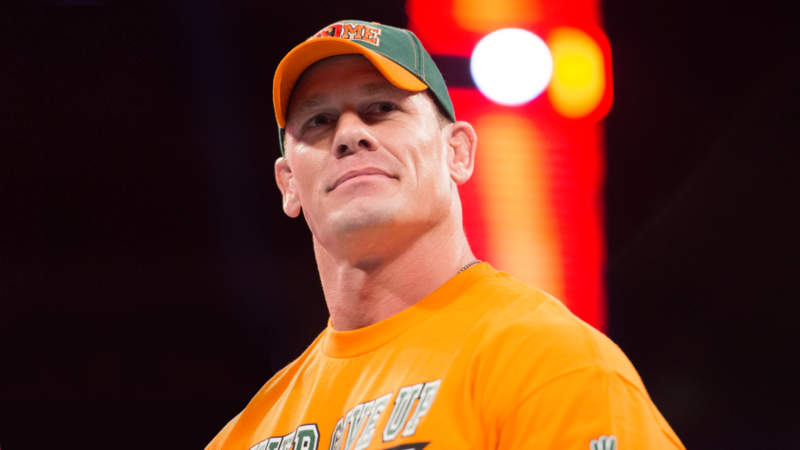 Interview with John Cena on ‘Wrestlemania 32’! Here is a fun interview with John Cena on ‘Wrestlemania 32‘ in Dallas, Texas at the Reunion Tower in 2016. He’s on top of his game and pretty funny. I even got to ask him what his favorite scenes in movies were, as well as if he misses the rap game. He even sheds some light on his shoulder injury and his recent popularity in meme form and prank phone calls. It was a fun interview. Interview with Roman Reigns on ‘Wrestlemania 32’! This entry was posted on Thursday, April 7th, 2016 at 11:24 am	and is filed under Events, News. You can follow any responses to this entry through the RSS 2.0 feed. You can skip to the end and leave a response. Pinging is currently not allowed. « Interview with Stephanie McMahon on ‘Wrestlemania 32’! Where do you get off behaving that way with women you don't even know, huh? How'd you feel if someone did that to your mother or your sister or your wife?